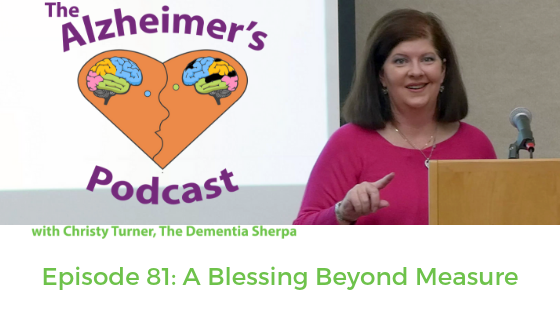 Welcome to Episode 81 of The Alzheimer’s Podcast, where we’re all about bringing The Good Stuff (that’s respect, kindness, love, empathy, and compassion) for people living with dementia, their families, and the professionals who support them. I’m Christy Turner, AKA The Dementia Sherpa. I’ve enjoyed the privilege of working with over 1,500 people living with dementia and their families so far, including multiple experiences in my own family. One of the best things about the work I do is getting to hear people’s stories. I love hearing the life lessons and insights, moments of grace, and of course the funny. 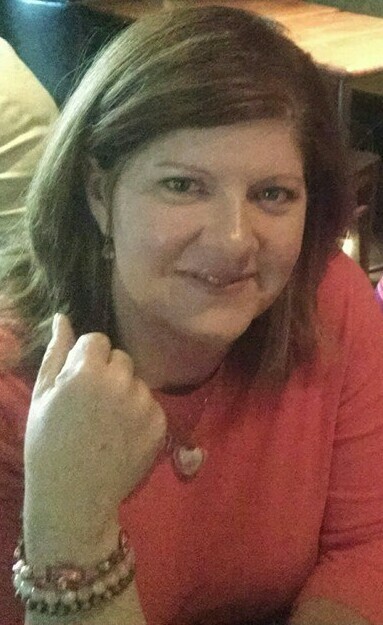 This week, I’m sharing part two of my conversation with Bonnie Lais, a member of the the Dementia Sherpa tribe who generously agreed to share her story about care partnering with her husband Don. In this episode of Navigating Rough Terrain with the Dementia Sherpa, Bonnie drops yet more golden nuggets as she reveals the key decision she made that changed everything; offers up a handy acronym to get you through tough spots; shares their hospice experience; and gives great examples of creativity in care solutions. Belong to a community of people who understand what you’re going through. Join the private Dementia Sherpa Facebook group Tips, Tricks, and Tools for Dementia Care Partners and/or find a support group near you. step into the life you and your loved one deserve, schedule your complimentary Dementia Caregiver Strategy call with Christy.